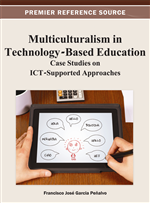 This chapter is a contribution to the discussion regarding the implementation of the CLIL methodology in school classes, particularly as far as the traditional tension between language and content learning is concerned. It starts with an overview of the development and diffusion of this methodology in European schools, lingers over what is going on in the countries of the MIH project (Spain, Italy, Germany, Poland, France, and Austria), and finally, it focuses on its results, the Digital Modules. It shows how it is possible to overcome the above-mentioned dichotomy, language versus contents, by using a cultural approach that enables students to move their own thinking forward. In fact, even if the basic principle of the CLIL is that the content comes before the language, in school practices this is not always the case, as documented in several surveys. Do Coyle, one of the major experts in CLIL, stresses the strong cognitive value of this approach. She says that learning contents in another language asks teachers to revisit the language, to model it such a way as to promote conceptualizing the learning. Following the traditional theories regarding learning languages, the input must be clear to the learners (Krashen, 1987) as well as their outputs must be comprehensible (Swain, 1985). This is possible only if both the meaning and its expression are understood. In most of the EU countries, except for the regions characterized by bilingualism, usually CLIL classes are attended by pupils who started learning a second language quite late (between 8 and 11) and for few hours a week. Moreover, often the content teachers are not trained and depend on the expertise of their language colleagues. This situation is well known by the school staff, by the students and their families as well as by the policy makers. It is not by chance that both the Council of Europe and the European Commission have been promoting the CLIL since the 90s, when they realized that many kids having learnt at school a foreign language for eight years or more could hardly string a sentence together, as David Marsh says in an interview available on the Web1. The low competence in foreign languages of the students starting a CLIL experience, and sometimes also of the teachers, combined with the insufficient number of language hours scheduled, obliges teachers to translate the content from the language 2 to the 1 and vice-versa, in spite of the prevalence of the communicative method of teaching language. In any case, it is not sure that the communicative method is recommended in the CLIL, as far as the contents to be taught are complex and far away from the life situations commonly used in language learning. The teachers’ experiences clearly show that they always have to translate from L1 to L2 or vice-versa and explain punctually the different ways to express the meaning in the two languages. However, this practice provides two positive consequences: (1) the emerging of the meaning from its first intuitive phase to its full awareness, which is not always the case in one’s own mother tongue, as the learner can “feel” the meaning even if he can’t exactly express it; (2) the affirmation of the principle of interpretance (Eco, 1993), by which the natural language serves also as meta-language, so that it is possible to compare the semantic system of the language 1 to the language 2’s one. This second point introduces another topic, which is the social and historical construction of the language and its cultural aspects. This is a very important issue, because, even if everybody agrees that in the CLIL the contents prevail over language learning, it is worth pointing out that the major experts in this field come from language studies and training and, mainly, from the training of English as foreign language teachers. On the other hand, it is to be stressed that the political impulsion given to the CLIL by the European authorities stemmed from the need to improve the language competences of the European citizens. As a consequence, the CLIL studies focus on language issues and take little notice of the cultural ones, as well as the materials available, except for those produced by the teachers by taking into account the needs of the their classes, tend to translate contents and exercises from the curricular L1 textbooks to L2 ones without adapting the approach to the different needs (Coonan & Marangon, 2006). English is the dominant language in CLIL experiences. The subjects involved are mathematics, sciences, and social sciences.